Medicine and Community is an Honors service-learning course that explores the scope and impact of healthcare in rural communities. 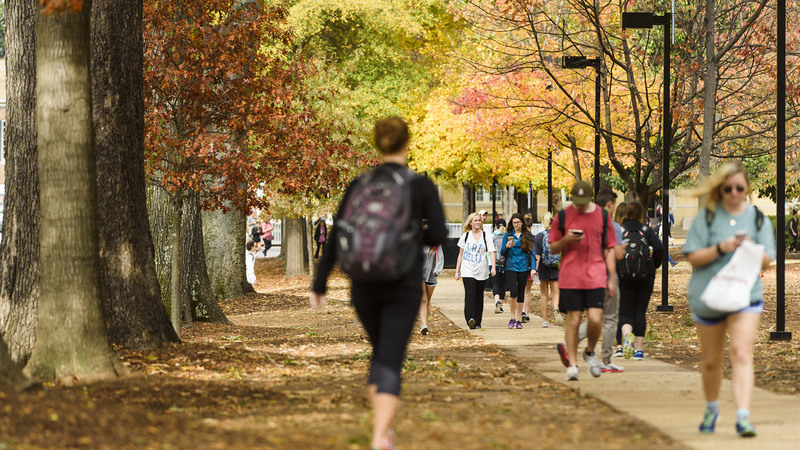 West Alabama provides an ideal classroom for the experiential, hands-on course—there is a need for comprehensive rural medicine and a unique opportunity for pre-medical students to gain exposure to this facet of healthcare. Student director Allyson Liu sees the program as both addressing a need and urging students to confront questions about the nature of the medical profession. The course operates in two parts: lectures on Monday and experiential rotations on Wednesdays. Physicians from the University Medical Center speak to the students on topics ranging from geriatrics, nutrition, and sports medicine to the reality of racial disparities in the medical field. Medicine and Community offers three Wednesday rotations: working at Sowing Seeds of Hope in Marion, AL, volunteering at the West End Health Project in Tuscaloosa, and shadowing local physicians. Sowing Seeds of Hope is an endeavor to improve the quality of life for residents of Perry County, specifically through healthcare access, housing opportunity, and local tourism promotion. 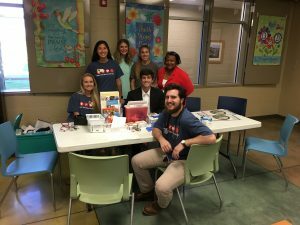 Honors students in this rotation work alongside Samford University pharmacy students to provide health screenings to residents of Perry County and other Black Belt counties. A hallmark of Liu’s time in Medicine and Community was facilitating the partnership between the program and the Salvation Army Center of Hope. The West End Health Project primarily serves the homeless population in Tuscaloosa. Students set up a free clinic in the cafeteria around dinnertime, taking blood pressure and checking blood glucose levels. From there, they can provide diet counseling or refer patients to Maude Whatley, a community medical clinic. The West End Health Project is an example of Honor’s objective to blend experiential learning with tangible service. The routine medical services the students provide are not only necessary for the underserved population, but also help to reinforce the personal aspect of medicine. “It’s a really great, eye-opening exposure for our students. It’s right down the road from school, and these people are very willing to talk to us,” Liu said. Liu feels that Medicine and Community gave her an edge in the medical school application process. She described how applicants generally do better when they have anecdotal evidence for their success as a pre-medical student. “A lot of medical schools have their own free clinics that do similar things [to the West End Health Project]. Showing that in my leadership position, I set up and managed a weekly clinic is really big in showing the experience of going out and working with patients in a medical capacity,” she said. Liu plans to attend medical school at the University of Texas Southwestern and then go into urban healthcare as a primary care physician for marginalized groups. She credits Medicine and Community for both helping her get into medical school and for inspiring her to pursue primary care. Medicine and Community accepts ten students per year. Students must have three UH credits before applying, and then earn two credit hours per semester. Students are encouraged to apply as a sophomore and then participate as a junior.